Just for fun. Before starting my writing day this morning, I was doing some organising through some Pinterest boards, and came across this graphic. 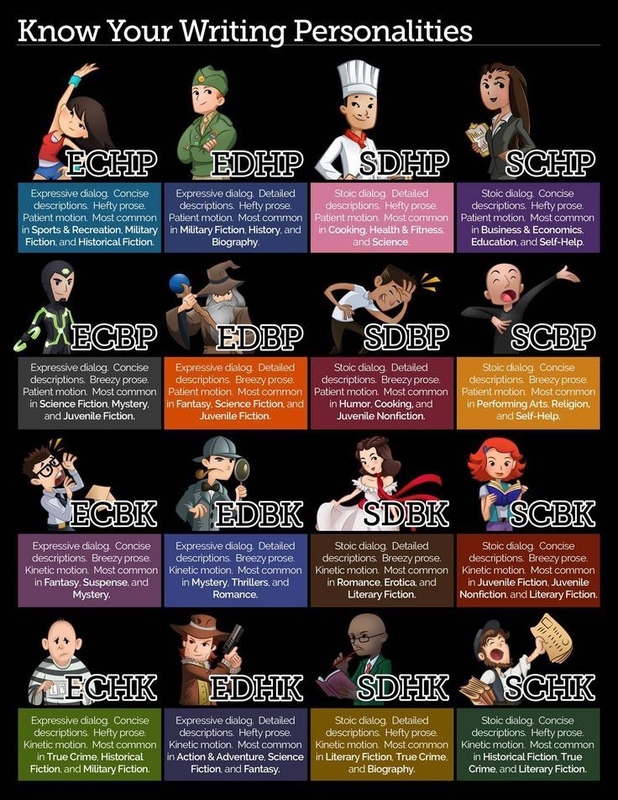 I find using the Myers-Briggs personality profiles helpful in new character development, and this graphic (which can be traced back by several years) appears to be based on this, but the originator and any explanation has since disappeared from the web. Like most writers, I'm sure that what form of dialogue or story motion is dependent on the individual story being told, but also that most writers do have a tendacy to form stories with the same emphasis on certain elements. But I'm also not sure there are only four elements in question, nor whether there's an “or” statement between each. And what forms make up our newer genres?